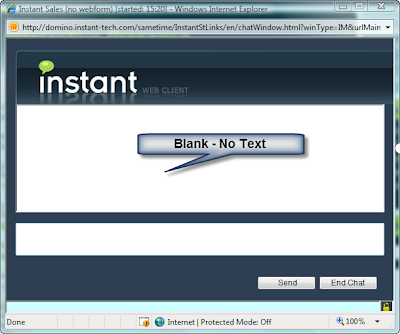 If you see blank chat area while using web client as specified in the following screenshot then you will need to clear temporary internet files (cache) of your browser. 4. Under Browsing History, click the Delete button. 5. In the Delete Browsing History window, click the Delete Files button. 6. When asked if you are sure you want to delete all temporary Internet files, click Yes. 7. To close the windows, click Close, then Ok.
3. Click Clear Private Data. 4. Check Cache. Note that any other checked items will also be cleared, so un-check any that you do not want to clear. 5. Click the Clear Private Data Now button. 2. Click the Edit menu. 4. When asked if you are sure you want to empty the cache, click the Empty button.